For 27 years, The Mill has been a staple in the Haymarket. 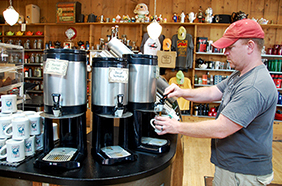 This year, the coffee and tea shop is celebrating its 40th anniversary in Lincoln. Tamara Sloan, The Mill's Director of Operations, took some time out to answer questions via e-mail regarding The Mill's anniversary and Downtown location. Downtown Lincoln: How has The Mill changed since it opened 40 years ago? Tamara Sloan: It got bigger. We started as a coffee, tea and spice shop for customers to [buy] and use at home. 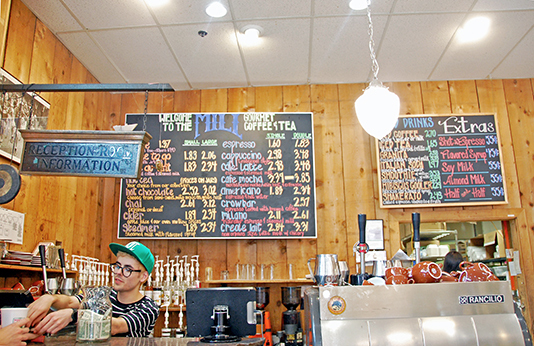 Over the years we evolved into a full-blown espresso bar and specialty craft roaster. In fact, [we're] one of the first and oldest in the Midwest. We have grown from one employee in one location to about 40 employees in two locations, of which either could fit the first location in it about 6 times over. DLA: Is The Mill doing anything special to celebrate the anniversary? Sloan: We are trying to keep up with how busy we are, and that is giving us very little time to celebrate! We have some thoughts for some “special treats” for our customers this fall. DLA: Any plans for the near future? Sloan: Actually, we are opening an expansion to our Prescott Street location! We have struggled with a couple of things, primarily customers coming in and not being able to sit and enjoy their beverage, but also being asked if we have a space people can reserve for events. The new space will hopefully allow us to accommodate exactly this. We always keep an eye out if a great opportunity should present itself! DLA: Why is it important for The Mill to be located Downtown? Sloan: Downtown is a vital hub. We have been in the Haymarket since the beginning of its revitalization and we are happy to be a core anchor for other businesses to open and thrive around us. Lincoln has long done a terrific job of building a vibrant hub downtown. Being part of that is good for us and very important to us. Sloan: We would like to say thank you to all of the friends we have made from both sides of the counter. We try to be a business that people want to be a part of. We love to hear the stories of how people connect through The Mill and the memories those connections have created. It is very special to us and makes all of the hard work worthwhile.